I attended a lunch today honoring the memory of another King, Dr. Martin Luther King. It will soon be 50 years since Dr. King gave his passionate “I Have a Dream Speech,” and his words were always present at the lunch. 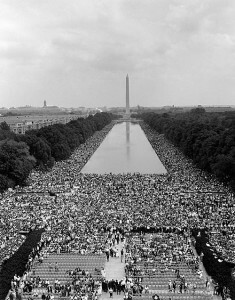 While some may not care about what may happen in 50 years, Dr. King did, and other great leaders do. Abraham Lincoln, for one, had a vision of a United States that would continue to grow to greatness, and he refused all temptations to compromise and let the southern states go their own way. President Lincoln acted with total commitment and resolve even though many people hated his actions, and, as with Dr. King a century later, one of the haters shot him. There were many inspiring words at the MLK lunch for environmentalists who sometimes see darkening clouds. I wrote down: “Everything is done by hope.” Avoid the “tranquilizing drug of gradualism.” “You judge each day by the seeds you plant, not by what you harvest.” “A life’s significance is the impact it has on others.” I was reminded of powerful words from another great leader who cared for the future, Winston Churchill. Shortly before his death at age 90, Churchill stood up, slowly, at a graduation ceremony and gave his commencement speech – “Never give up. Never, ever, ever give up” – and then sat down. Dr. King, and Winston Churchill, lived lives that rejected pessimism, apathy, and gradualism. We need to look clearly at what is happening to our environment and to hear what science tells us about threats to our beautiful, comfortable, nurturing world, then act to protect our world for us, and for those who will be here in 50 years, including Larry King’s descendants..
Well, I finally got in synch with your postings. Maybe now we can continue with our conversation. We stayed at home and I stayed on the computer most of the day. I did get a bit of outside information listening to KERA and a program on King focused on those last days and the fight for the Memphis sanitation workers...so with that in mind like me suggest the following: 1. There is a danger is making a man such as Dr. King every man's hero. He was not interested in environmental issues, I suspect, because his focus was the injustice rampant in the nation at that moment in history. For those living on the edge of survival or ground down by social injustice there is only now! 2. I don't know that gradualism is our enemy...procrastination, I would agree to, but all progress is gradual. Human kind has never proceded from the primative to the refined in one step. 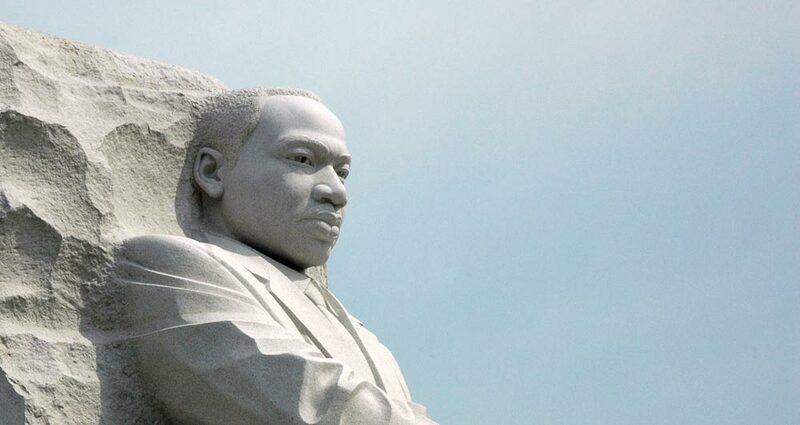 It was not the gradualism of the civil rights issue on King's day that bothered him. It was the Scarlett O'Hara attitude of just not thinking about that today that had frozen the movement toward human dignity in this country in place. 3. I'm not sure that an accurate appraisal of the European debt crisis is a conscious decision to consume without consideration of the future. National debt is like a glass of water: part is empty, part is filed. Yes, part of that glass is filled with consumption - the majority to meet the demands of survival - but the other half is empty of a responsible tax policy. That is our problem, as well. So, I would be hesitant to lay the blame on the 99% of consumers and let the 1% of deadbeat tax dodgers go free.